It is that point in the week again! I mean the costume, of course, I cannot sew a dog so cute! 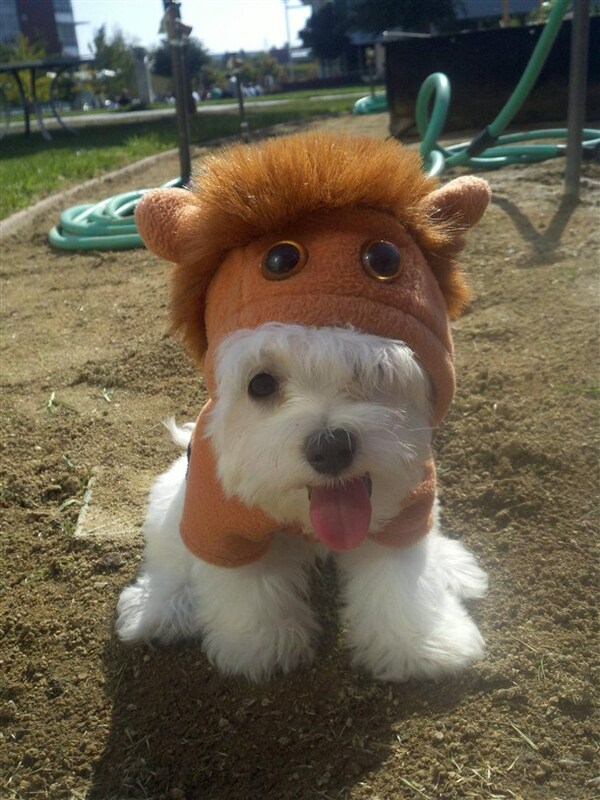 The white fluffy dog is adorable on its own but the addition of the little horse hat/hoodie makes the picture perfect. The little costume is just simplistic enough that it allows the dog to be cute in and of itself.